A direct rail link between Ipswich, Norwich and Oxford could unlock £17.5bn for the East Anglia community, according to a case for investment from the East West Rail Consortium (EWRC). A new report publishing by the consortium outlines the benefits of new East West rail services, including the creation of 120,000 jobs and connecting high-value economies with fast rail links. This file on the East West Rail web site is entitled Eastern Section Prospectus and gives full details of their proposals. The East West Rail Consortium (EWRC) is proposing three phases of train services. An hourly direct EWRC service to/from Ipswich, with a good connection at Cambridge to/from Norwich. The current Ipswich to Cambridge service will be extended from Cambridge to Oxford and Reading. Intermediate stations between Cambridge and Reading would include. Selective journey times would include. At Cambridge, there would be a same- or cross-platform interchange with Greater Anglia’s forthcoming service between Norwich and Stansted Airport, which will replace the current service between Norwich and Cambridge before the end of 2020, when new Class 755 trains will have entered service. There would be a change of train at Cambridge station. The report says this about infrastructure improvements. Improved journey times could be provided by undertaking incremental linespeed enhancements between Cambridge and Ipswich/Norwich. It doesn’t look like there will be too much disruption to train services, whilst the improvements are undertaken. An hourly direct EWRC service to/from Norwich will be added to the Ipswich-Cambridge-Oxford-Reading service. But it will also mean. Two tph between Norwich and Bedford/Milton Keynes/Oxford/Reading. Two tph between Ipswich and Bedford/Milton Keynes/Oxford/Reading. One of the Ipswich/Norwich trains will be direct and one will require a change at Cambridge. I would expect that good connections would be arranged at Norwich, so that Cromer, Great Yarmouth, Lowestoft,and Sheringham had good coinnections to EWR. These will be changed to the following. All services would have a frequency of one train every two hours. There would also be a cross-platform interchange at Peterborough between the two services, thus giving an hourly services on all four routes. As Greater Anglia are planning to run an hourly Colchester to Peterborough service via Manningtree, Ipswich and Bury St. Edmunds, effectively this gives all these places an hourly service to Liverpool and Birmingham with a change at Peterborough. The report recommends these infrastructure improvements. Additional platform capacity at Cambridge. Double-tracking of Trowse Swing Bridge. Signalling upgrades between between Ely and and Ely North Junction to reduce headways. Additional platform capacity at Norwich. Improved journey times and improved connections to/from Sheringham. As with the initial service pattern, the infrastructure works with the exception of the double-tracking of Trowse Swing Bridge don’t seem to be major undertakings. The long-term service pattern would be as follows. The hourly Reading/Oxford service to Ipswich would be extended to Manningtree. The hourly Reading/Oxford service to Norwich would be extended to Great Yarmouth. There must be a good reason for not extending the Ipswich service to Colchester, as the Peterborough and Ipswich service will be extended to this terminal in 2020. A package of infrastructure enhancements across the region, building on those delivered for the interim phase. It looks like nothing major will be undertaken. The report details a series of smaller projects, that will be undertaken East of Cambridge. Many of these would be done even if East West Rail were not. 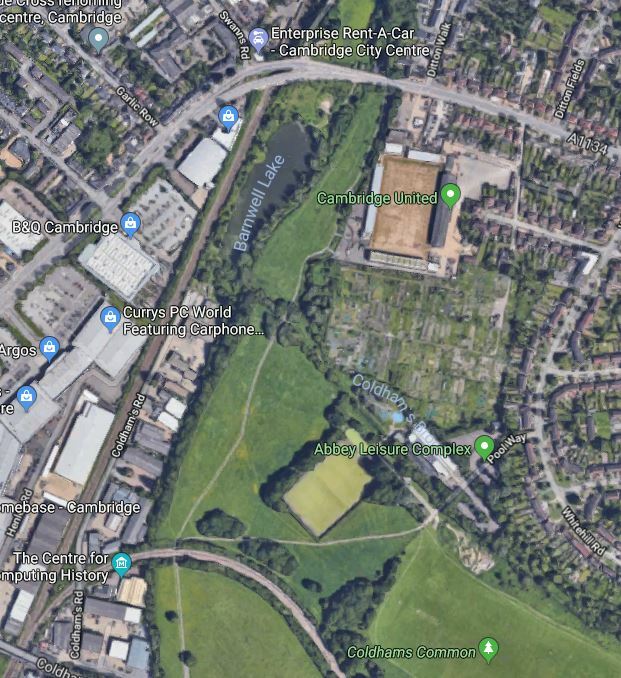 The report recommends building a new station at Chippenham Junction, which is to the East of Newmarket, close to the junction of the A11 and the A14 . The station is referred to in the report as A14 Parkway station. This Google Map shows the location of the proposed station. The A14 going across the top of the map. The junction between the A14 and the A11 in the top-right corner. The triangular Chippenham Junction, pointing North to Ely, South to Newmarket and East to Bury St. Edmunds and Ipswich. Having lived in that area for nearly thirty years, I believe that this is a much-needed station. Stations in the area, with the exception of Cambridge North are short of car parking. There would be two tph to/from Bury St. Edunds and Ipswich. There would be one tph to Cambridge, Cambridge North, Cambridge South , Ely and Peterborough. I suspect that there could be shuttle trains to provide extra services to Cambridge and Ely. A shuttle train could run between A14 Parkway, Cambridge South, Ely and back to A14 Parkway, calling at all intermediate stations. The report says that some single-track sections may need to be converted to double-track. The major section of double-tracking would be between Coldhams Lane and Chippenham Junctions on the Cambridge Branch of the Ipswich-Ely Line. A new chord would be built at Colhams Lane Junction, so that trains could run between Ely and Bury St. Edmunds via Newmarket. The Cambridge to Norwich line running North South at the left of the map. The curve of the Cambridge Branch of the Ipswich-Ely Line at the bottom of the map. The extensive open space of Coldhams Common. I have a feeling that building the chord will be a difficult planning process. The report says that there could be some additional electrification. The report recommends that this junction is grade separated. The report recommends building a new Ely North station, which would be about one-and-a-half miles from Ely station. The report says this about existing stations. stations with remodelling of the station throat layouts. I don’t think any modifications will be that difficult. This was said in the report. I was rather surprised. But why not? The tram-train could even go down to the sea-front. I explore this more in Could There Be A Tram-Train Between Ipswich And Felixstowe?. 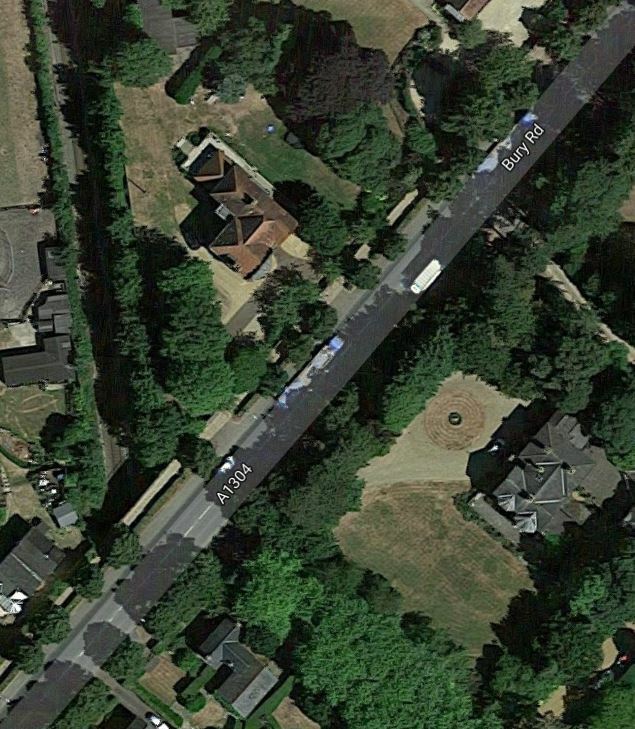 Thr report recommends that this junction is grade separated. This is one the most important projects to improve rail services in East Anglia. Greater Anglia’s fleet of Class 745, Class 755 and Class 720 trains are all 100 mph trains and the Great Eastern Main Line is a 100 mph route, all the way from London to Norwich. It would seem that to improve services, that where possible linespeeds are increased to 100 mph. The Breckland Line between Ely and Norwich, currently has a linespeed of around 75-90 mph and is double-track and fairly straight across flat countryside. The Ipswich-Ely Line between Ely and Ipswich, has a linespeed of up to 75 mph, and is mainly double-track and fairly straight across flat countryside. The Cambridge Branch of the Ipswich-Ely Line is mainly single track and would probably be more difficult to upgrade. Knowing the lines and East Anglia well, I suspect that these lines could be substantially given a linespeed of 100 mph. Stansted Airport station needs more capacity and may require the doubling of the tunnel under the runway. The report recommends that Warren Hill Tunnel at Newmarket is doubled and that from Coldham Lane Junction to Chippenham Junction is also doubled. This Google Map shows the Western portal of the tunnel. The road across the top is Old Station Road. The dark shadow at right angles to the road is the cutting leading to the tunnel. There seems to be plenty of space to widen the cutting. 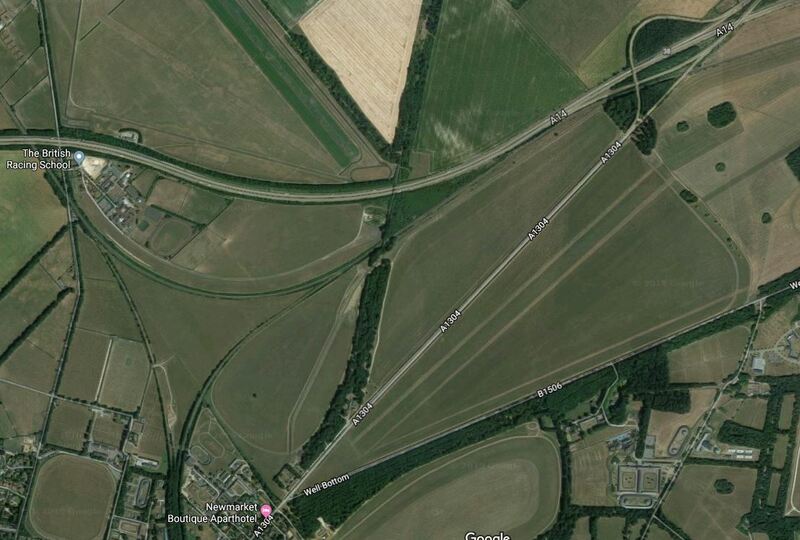 And this Google Map shows the Eastern portal of the tunnel. The road is the Bury Road. The cutting leading to the tunnel portal is in the top left of the picture. The actual portal appears to be under the Bury Road. This page on the Newmarket Local History web site, gives details about railways in Newmarket. The site says that the tunnel is exactly a kilometre in length and built on a curve. I can see that doing these tunnel works will not be without opposition from the Racing Industry at Newmarket. I shall talk about this more later. Before discussing freight, I will describe the freight locomotive of the future. Rail Operations Group have just ordered ten Class 93 locomotives from Stadler. These are a tri-mode locomotive able to use electric, diesel or battery power. They will probably be able to haul the heaviest freight train at 100 mph, using electric power. They will be slower under diesel power, but they can use battery power for extra grunt. They will also find applications in hauling 100 mph passenger trains on partially electrified lines. Other manufacturers will follow Stadler in developing similar hybrid locomotives, which will haul larger freight trains faster and with less pollution, than the current generation of locomotives. Part of the EWRC’s freight plan is to make it easier to get the massive number of freight trains between Felixstowe and the Midlands and the North. This is an extract from the report. Note that doubling of Warren Hill Tunnel at Newmarket and redoubling between Coldham Lane Junction and Chippenham Junction is included in the infrastructure requirements. It is assumed that most freight would operate via Newmarket, with a new north chord at Coldham Lane Junction, rather than pursuing further doubling of the route via Soham. I indicated , these points earlier. 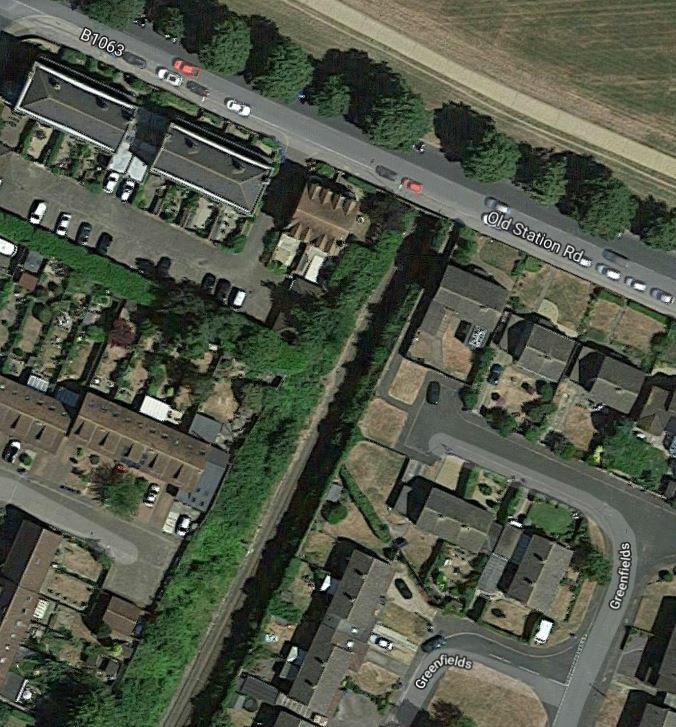 ,Building a chord across Coldhams Common will not go down well with the residents of Cambridge. The plans for a double-track railway through Newmarket will not go down well with the Racing Industry. I would also suspect that the logistics of building a second tunnel at Warren Hill, could be a nightmare, given the twenty-four hour nature of horse-racing. So why have EWRC decided to route most freight trains through Newmarket? Currently, freight trains going to/from Felixstowe use one of four routes. They go via London and cross the city on the crowded North London or Gospel Oak to Barking Lines. They go to Peterborough and take a cross-country route to Nuneaton, which is slow and has a notorious level crossing in the centre of Oakham. They go to Peterborough and take a diversion route through Lincoln. They go to Peterborough and up the East Coast Main Line, which is increasingly crowded. None of these are perfect routes for freight trains. Looking into the future, by the late 2020s, the following will have happened. An increasing number of freight trains will be running to/from Felixstowe. High Speed Two will have opened, which will release paths for freight trains on the electrified West Coast Main Line. Hybrid Electric/diesel/battery freight locomotives will be commonplace and hauling most long-distance inter-modal freight trains. The East West Rail Link will have opened between the West Coast Main Line and Cambridge. It appears to me, that there could be a plan to create extra routes for freight trains to/from Felixstowe, using the East West Rail Link. Services between Felixstowe and West Coast Main Line destinations like Birmingham, Carlisle, Glasgow, Liverpool and Manchester, will use the East West Rail Link between the West Coast Main Line and Cambridge. Services between Felixstowe and Midland Main Line destinations like Derby, Nottingham and Sheffield, will use the East West Rail Link between the Midland Main Line and Cambridge. Services between Felixstowe and South Western and Western destinations like Bristol, Southampton and Wales, will use the East West Rail Link between the Great Western Main Line and Cambridge. Services between Felixstowe and East Coast Main Line destinations like Doncaster, Edinburgh, Leeds and Newcastle will still use the traditional route via Ely and Peterborough. It seems to me, that as many as two freight trains in every hour in both directions will need to take the route between Felixstowe and the East West Rail Link through Bury St. Edmunds, Newmarket, Cambridge and Cambridge South stations. This number of freight trains would make it essential, that there is a double-track railway from Chippenham Junction to Cambridge. The Coldhams Chord also seems to be an important part of the plans of the EWRC. This is to allow freight trains between Peterborough and Felixstowe to use the upgraded double-track route through Newmarket. Once on the electrified Fen Line at Coldhams Junction, freight trains with a hybrid locomotive could use the electrification to Ely. At Ely, the trains would then be able to take the Peterborough-Ely Line to continue on their way. Currently freight trains between Felixstowe and Peterborough, have to cross the double-track Fen Line at Ely and it could be that operationally it would be easier, if they used the route via Coldhams Lane junction. The level crossing at Ely station is being sorted. The Fen Line between Cambridge and Ely is an electrified double-track and except at Waterbeach station, it would probably be relatively easy to add additional tracks. Cambridge North station appears to have a double-track by-pass line for freight trains. For some years, I’ve believed that the thirty miles of the Peterborough-Ely Line should be improved and electrified, as this would give a valuable electrified diversion route, if the East Coast Main Line were to be closed South of Peterborough. So if a freight train were to be hauled by a hybrid locomotive, it would surely be able to use electrification between Peterborough and Coldhams Lane Junction. The distance between Coldhams Lane Junction and Haughley Junction, where the electrification from Ipswich ends is forty miles. The terrain is also very undemanding. I would be very surprised if in a few years, a powerful hybrid locomotive couldn’t haul the heaviest freight train on this route. The East West Rail Link will have far reaching consequences for Norfolk, Suffolk and North Essex. Most towns and cities with perhaps a population of upwards of 30,000 will have a two trains per hour service to Cambridge, Bedford, Milton Keynes, Oxford and Reading. Some services will be direct, but many will involve a same- or cross-platform change at a station like Cambridge, Ipswich or Norwich. East Anglia will have much better hourly connections to Birmingham, Liverpool, Manchester, Nottingham and Sheffield. There will be much improved capacity for freight trains to/from Felixstowe. I feel very positive about what has been said.